Welcome to 32 Westridge Rd, a stunning family home located on a single lane, quiet one way street across from a greenspace with a playground for the kids! Enjoy mornings on your sunny front porch with your tea, waving to your kids as they set off to any one of 3 amazing schools within walking distance. When you walk inside you feel the tranquility of a quality built home with many quality upgrades including Restoration Hardware and Hunter Douglas. This 3 bedroom, 2 & 1/2 bath, almost 2300 total square feet with walk-out level, features gorgeous hardwood floors, granite countertops, upgraded Stainless Steel appliances including a counter-depth fridge with water & ice, a walk in pantry, central AC, a second floor laundry room, a large Master Bedroom with a walk in closet, 2 other generous size bedrooms and a large walk out level with high ceilings, ready to personalize and make your own!! 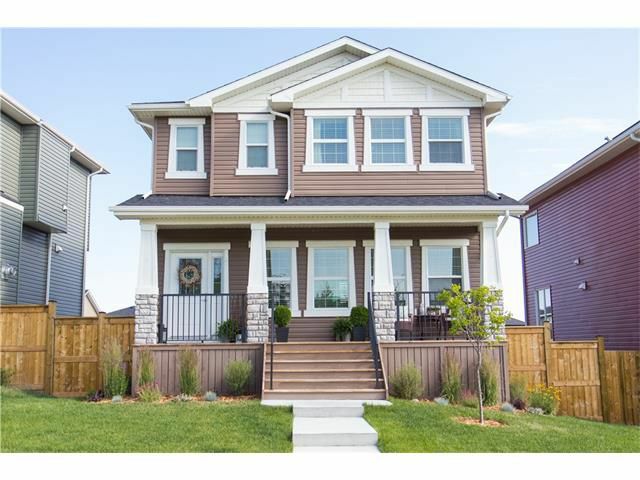 See additional comments for more about the exterior and then call your favourite Realtor to view!! The exterior features an oversized, heated, double garage with attic storage and an epoxy floor for easy cleaning, upgraded exterior lighting and an additional parking spot beside the garage. Professionally landscaped with trees and perennial beds, a 2 tiered deck, gas BBQ hook up and a fully fenced yard! This home was made for outdoor entertaining!